OLD PROBLEMS: Some of the emergency manager's actions might not be necessary if earlier administrations and councils had acted sooner. Belle Isle. The discussion about imposing a fee for Belle Isle stretches back at least three mayoral administrations. Talks of charging an entrance fee for the city’s illustrious island park have been going on long enough to have been imposed by now. Doing so then, along with the direct allocation of that revenue reinvested into the maintenance and management of the park would have possibly taken a state lease off the table. 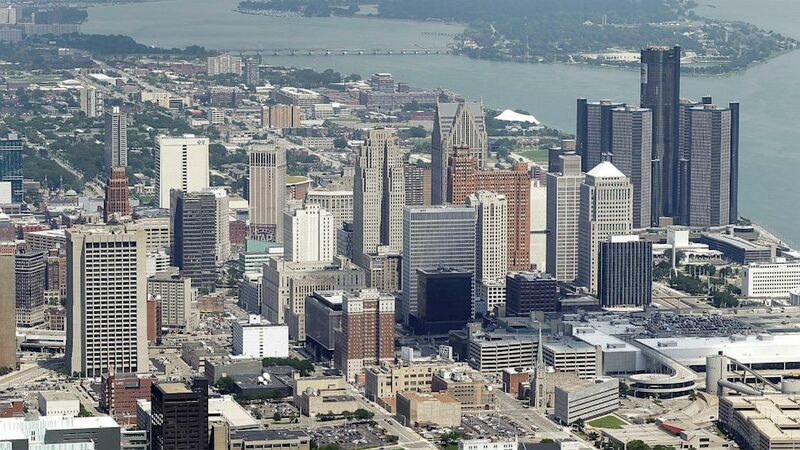 Detroit’s elected officials could have done this long ago. Why didn’t they? Lights. The lights in the city have long been a challenge, with thieves stealing valuable parts from an already antiquated system. However, where the lights are on or out is no secret. With the land repurposing plans and exaggerated processes, a mapping of the outage specifics should have already been available. And, if a lighting authority was the missing but needed piece to strengthen the focus and expedite the process for turning and keeping them on why wasn’t there an authority named by the city and before now? Debt funding. While the emergency manager secured funding to help resolve the city’s debt, City Council rejected the proposal saying they could find a better deal and at a more appealing interest rate. If they even thought they could do so, why didn’t anyone think of and pursue this option before being forced to do so? Or did council simply say they could, to make it appear as though they offered – or could offer – another, if not better, option? Tax collections. The city is owed in back taxes more than enough to help stabilize its debt. So, why hasn’t there been an aggressive pursuit of those large and small to repay them? Why isn’t the collection process streamlined, online, more efficient and a priority for a city that could use every dollar due? What’s really the holdup? Blight. Why isn’t there a more efficient and effective partnership with the county and federal government to help stave off contributing to the blight issue? In addition to tearing down already blighted homes, the support to help keep residents in their homes who have been impacted by compromised lending practices isn’t where it ought to be, as the wrangling over Hardest Hit Funds and their allocation continues. At the end of the day, this is a reflection of substandard city services and inefficiencies which led many residents to simply walk away from their properties, thus further contributing to the problem. It may be a bit unfair to compare the efforts of the EM – with sweeping power, unchallenged authority and the full support of the state – to those of local elected officials, who have long answered to and feared their constituencies and other supporters. They’ve also played to the crowd by challenging each other, rather than working in a cooperative effort for the good of residents. But it would have been nice to at least see an earlier and more aggressive attempt. At the end of the day, however, the question remains on these and several issues that if they could have done something – anything – sooner, why didn’t they? What in the world were they waiting for? Sounds exactly like the GOP plan for the country. Do as little as possible to run the got for the good of the people. Step up, guys. Common sense observations, Karen--some of the same questions I and many Detroiters have been asking. These are basic building blocks for sustainability of the city, but apparently were not the priorities of those we elected in the past. Please send a copy to the new Mayor and Council. I think that you would have to ask the council members directly for their reasons, and hopefully they would give you a direct and honest answer. Sometimes it's politics; sometimes it isn't. Administrators tend to think more systematically about policy problems than elected public officials who tend to use their intuition and attend to the interests of a larger array of stakeholders. A fee for entrance to Belle Isle seems like a "no brainer" until one wears the elected public officials' shoes and realizes that many lower and middle income citizens in the City will be angry when they find that they suddenly have to pay for something that for generations was "free." People don't like to give up benefits (privileges) that already have. The answers to these questions are of value primarily to determine what the incoming city council should avoid doing or not doing. The desire "to play to the crowd" and capture as much personal notoriety as possible seems to have been the motivating reason for much of the past actions or inactions of the city council members. Hopefully the new council members will be most interested in doing what is best for Detroit and its residents than in getting reelected or making the front page of the local newspapers. These questions and the answers should be carefully considered both individually and collectively by those elected next Tuesday. Somewhat of an interesting perspective coming from someone that was a part of the inner circle of two previous administration. Karen served Kilpatrick and Bing; so while she chooses to pontificate on what hasn't been done, it can easily be said that she has been a part of the problem as well. Who gives a damn if Karen drinks tea for brunch? Was that supposed to be funny? It wasn't! Karen, your reflections are right on the money as usual. I am not a professional strategist, just a common sense, intelligent person with reasonable thinking abilities. --However, even I have been able to ask certain questions, and come up with better scenarios, than our present, paid, elected officials have come up with. The solutions to our woes are not as overwhelming as the lack of passion in our elected officials, who lack integrity, fire in their bellies to get the job done on behalf of the citizens of Detroit!!! --I have already submitted my ballot, but I am so weary of all the politics, the lies and the thought of whom the next major will have to pay back for the election results.